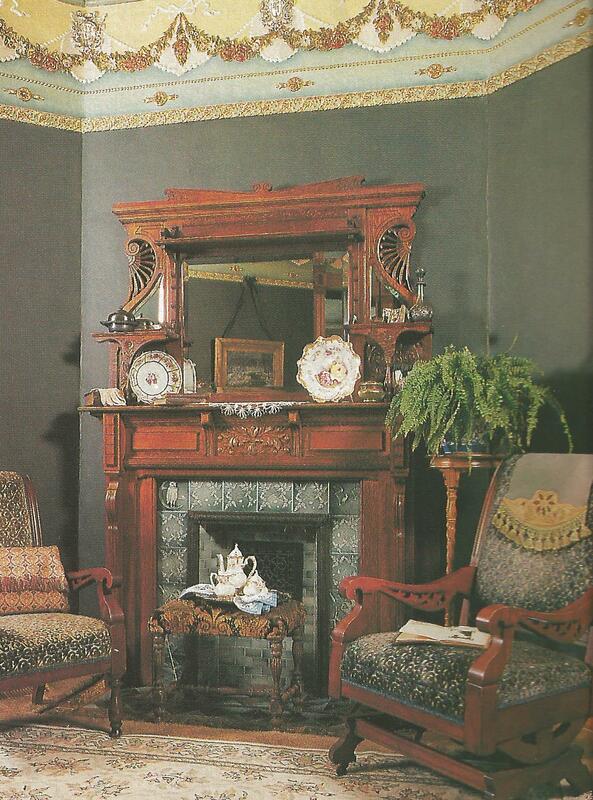 An essential accessory in every well-managed home in the late 19th Century was the tidy. A tidy was a piece of cloth used to protect furniture. 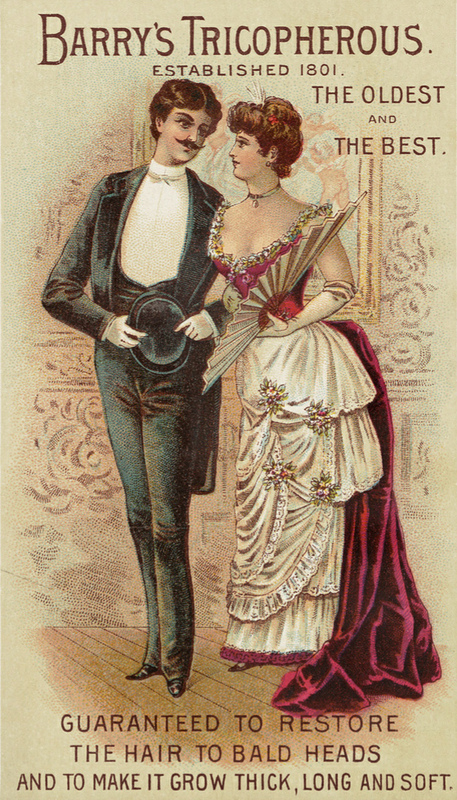 Tidies were draped over the backs of chairs or placed on the flat tops of tables, dressers, or chests of drawers. Today we’d call them doilies or antimacassars. 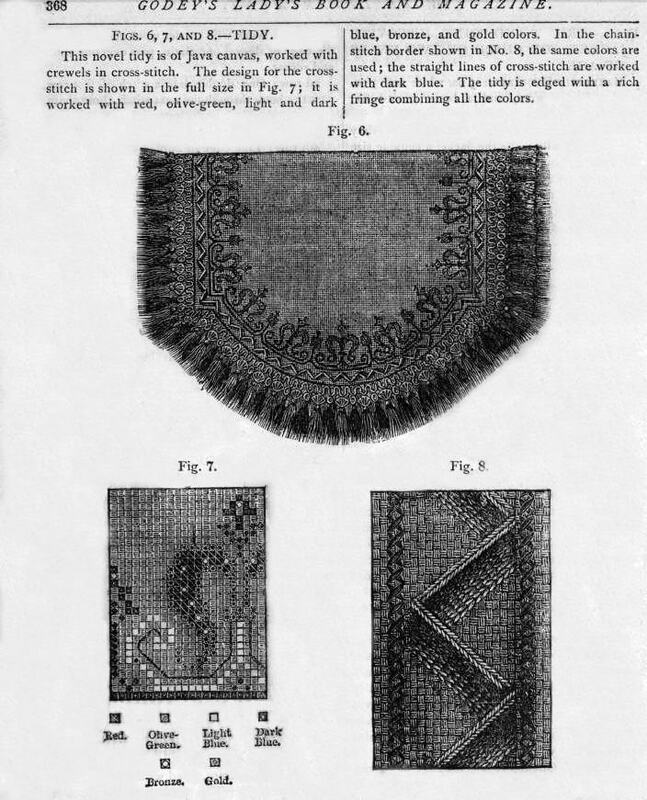 Depending on the household and a family’s means, tidies could be very simple and plain or elaborately decorated creations of silk, velvet, or other costly materials. Tidies weren’t just decorative; they served a very useful purpose. Without tidies, upholstered furniture would have been ruined at an alarming rate by the grooming products people used. 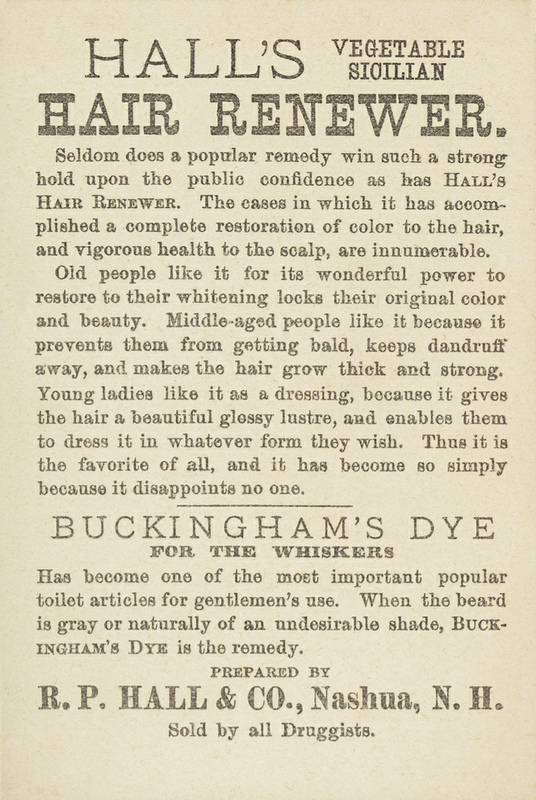 At the time, men, women and children used hair dressings of various kinds on a daily basis. Unfortunately, hygiene habits were different then and people didn’t wash the dressings from their hair with the same frequency. Housekeepers draped tidies over the backs of chairs and sofas to keep all that hair oil and cream from rubbing off on the furniture. 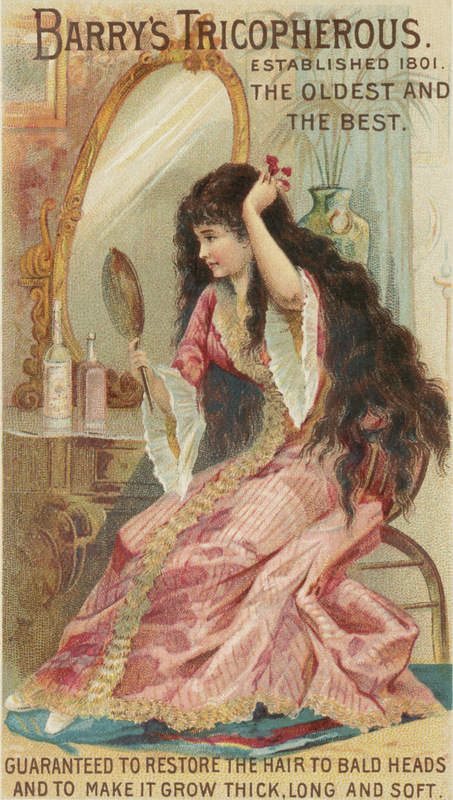 Like today, there were hair products for every need. 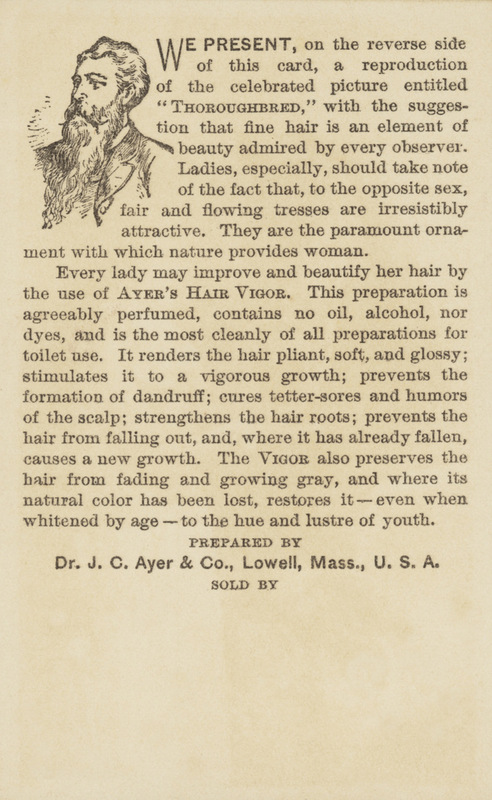 For ladies, Ayers Hair Vigor offered delicately perfumed hair dressings. 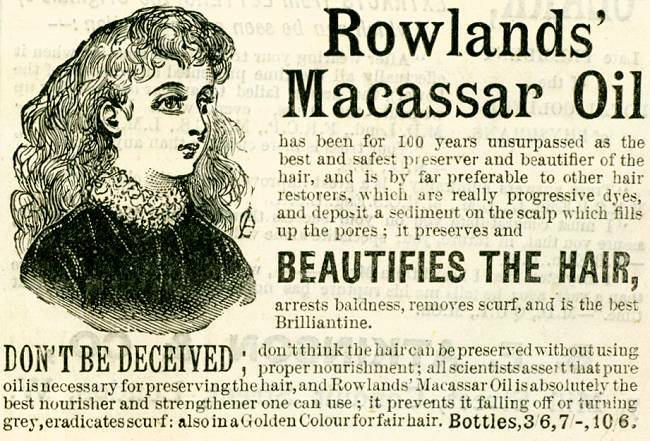 Rowlands’ Macassar Oil (from which we get the word, antimacassar) advertised its product as a pure oil that prevented grey hair. 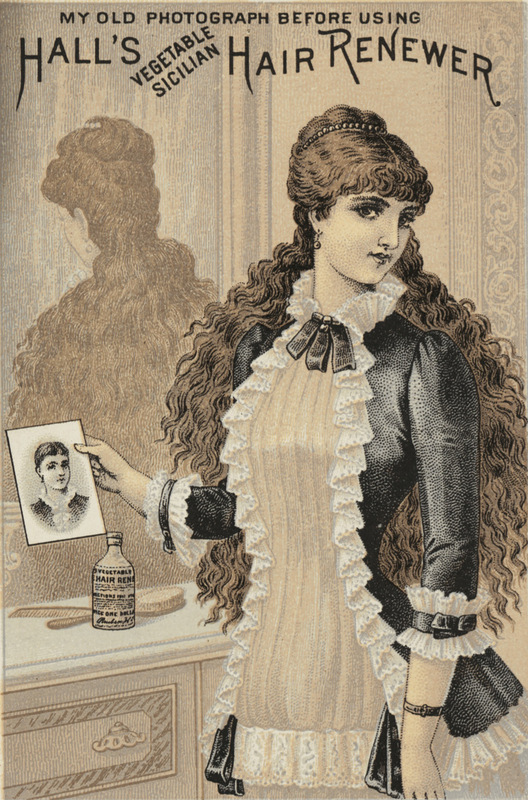 There was Mellier’s Hair Dressing, made with quinine, which the manufacturer claimed relieved dandruff, itching or irritated scalp. 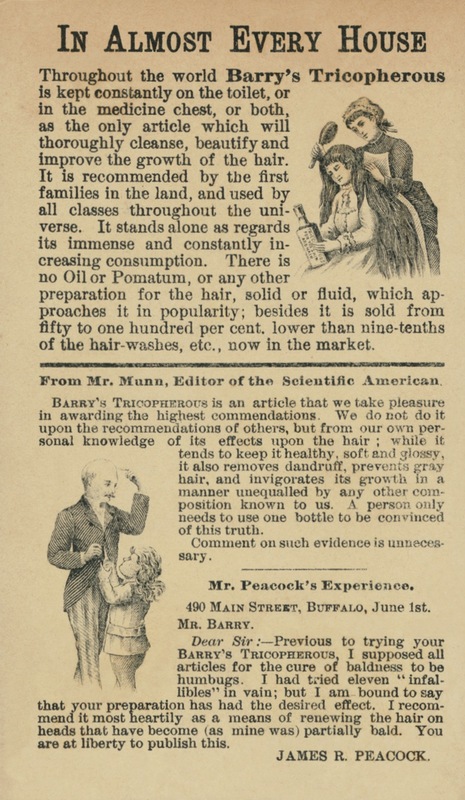 There were even hair products that claimed to cure baldness, such as Barry’s Tricopherous preparation, which guaranteed that it would restore hair to bald heads. 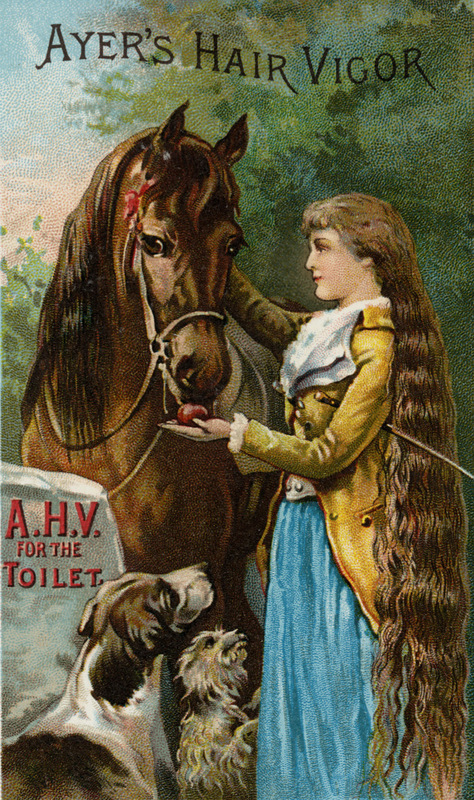 And Halls Hair Renewer also promised to “stimulate hair growth,” as well as cleanse and beautify hair. 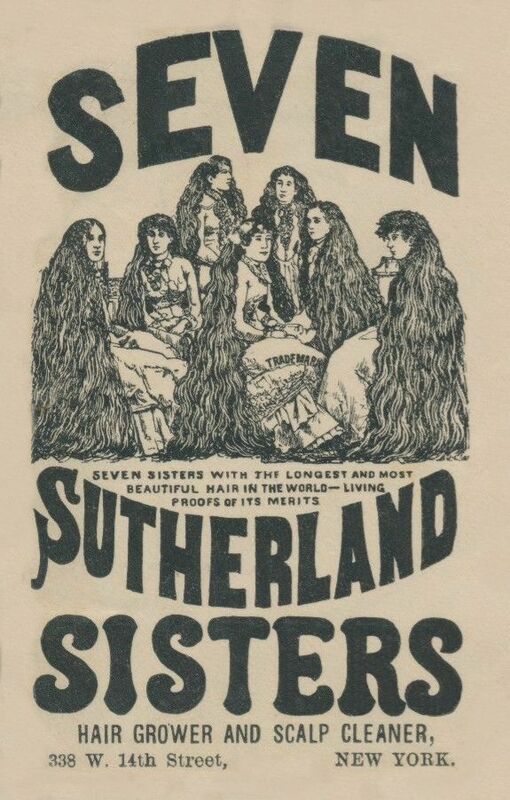 Perhaps one of the most popular products was Seven Sutherland Sisters’ Hair Grower, which hit the market in 1883. 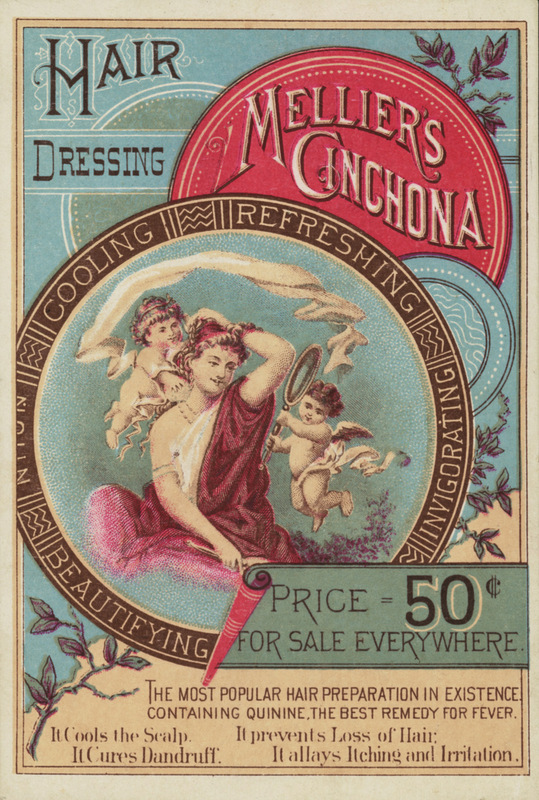 The product was named for the seven daughters of the Sutherland family, who bottled a foul-smelling concoction developed by their mother, which they claimed gave them healthy hair that reached almost to the floor. 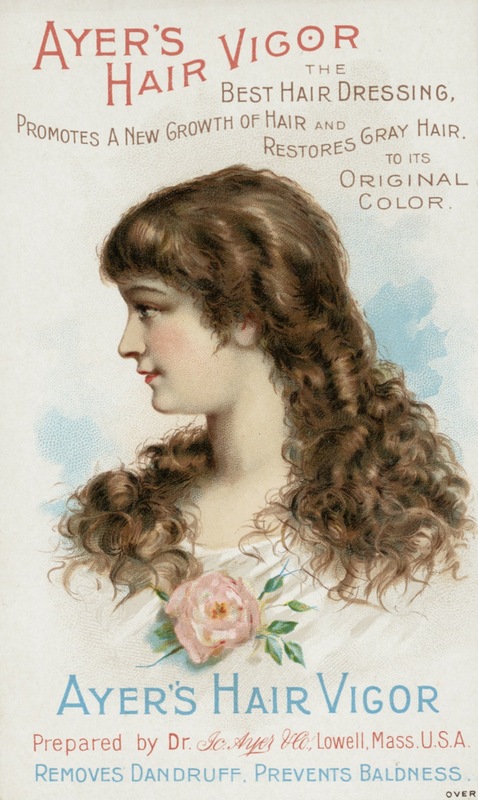 The Sutherland sisters used their own images to advertise their hair grower and toured the country promoting their product. 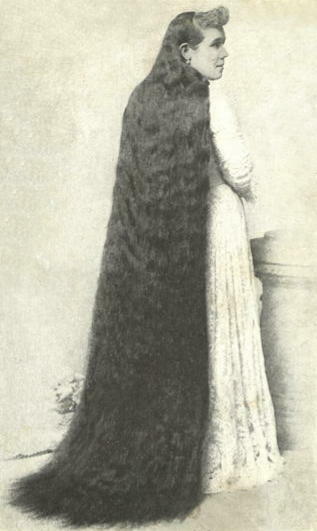 With so much hair dressing in use, efficient housekeepers relied on tidies to protect their furniture from staining and damage. 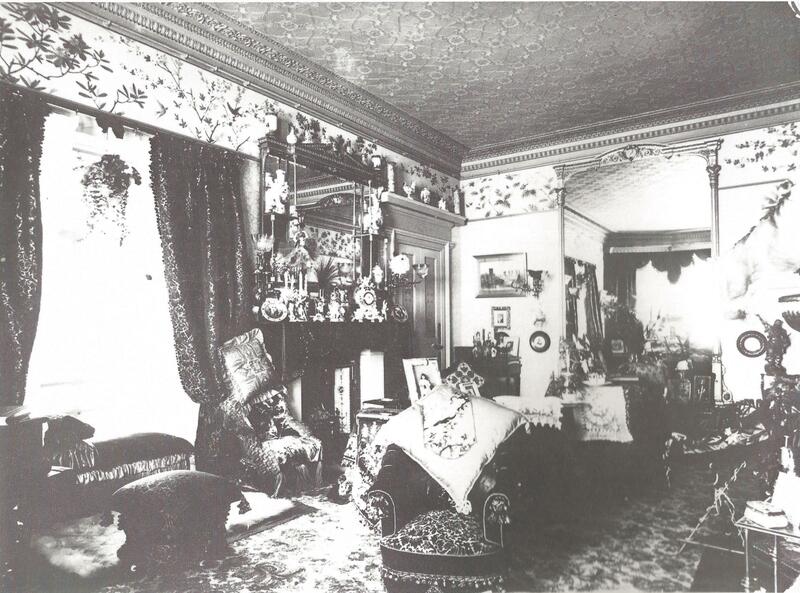 Tidies had to be laundered and changed frequently, and women kept a good stock of them in the house at all times. 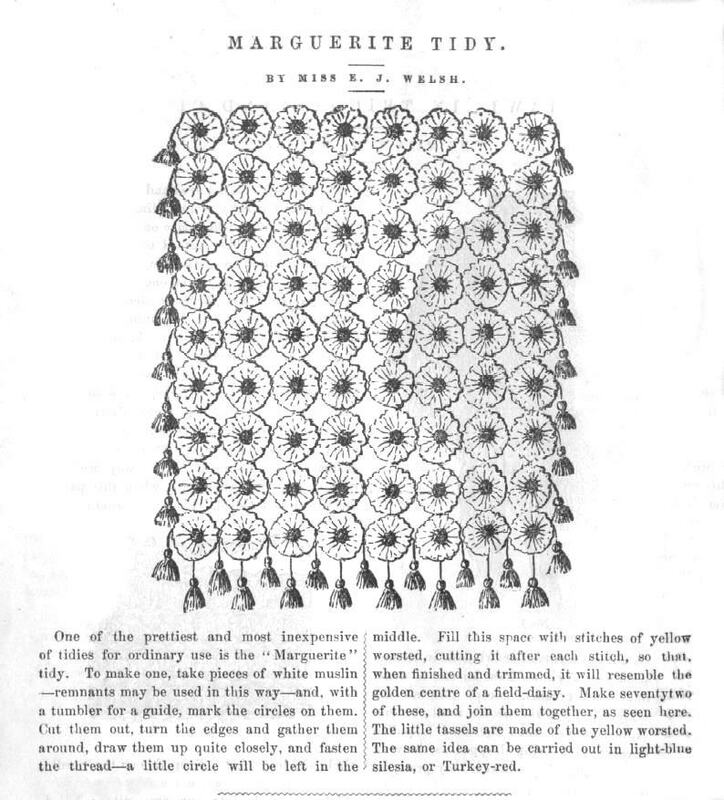 Instructions for making tidies filled the pages of women’s magazines and manuals. 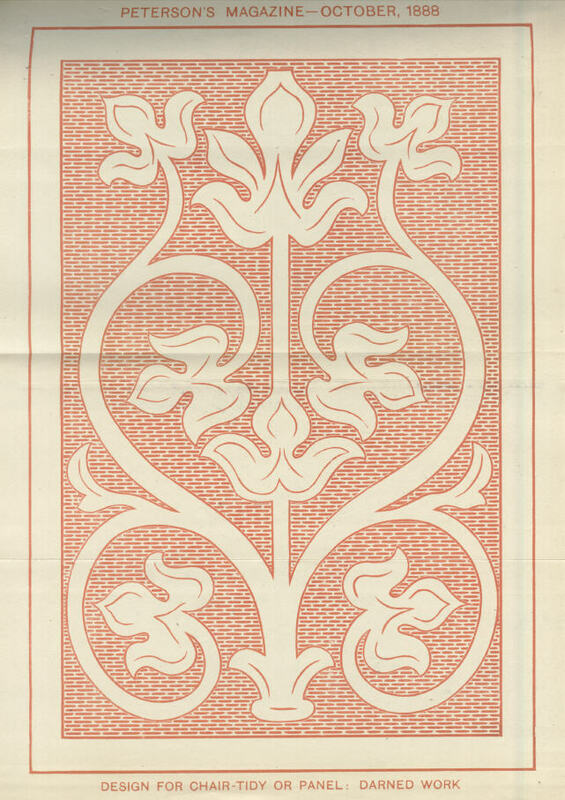 Whether crocheted, embroidered, or adorned with ribbons and lace, new designs were as varied as they were plentiful. In many of Isabella Alden’s books, the heroines engaged in sewing tidies for their homes. They also made tidies to give as gifts or sell in order to raise funds for the church or to support missions. 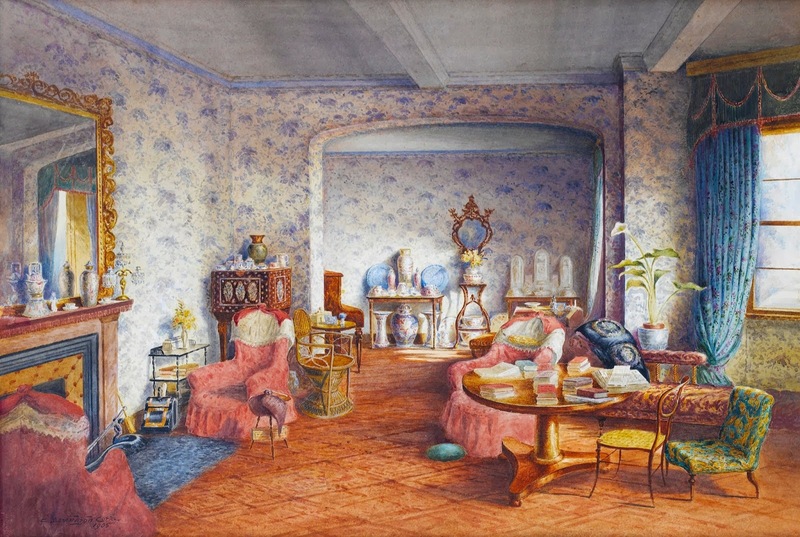 Perhaps no one little thing contributed to the holiday air which the room had taken on more than did the tidies of bright wools and clear white, over which Estelle had wondered when they were being packed. Louise thought of her and smiled, and wished she could have had a glimpse of them as they adorned the two rounding pillow-like ends of the sofa, hung in graceful folds from the small table that held the blossoming pinks, adorned the back and cushioned seat and arms of the wooden rocking-chair in the fireplace corner, and even lay smooth and white over the back of Father Morgan’s old chair, which Louise had begged for the other chimney-corner, and which Mrs. Morgan, with a mixture of indifference and dimly-veiled pride, had allowed to be taken thither. Little things were these, everyone, yet what a transformation they made! Some tidies required extraordinary skill and patience to accomplish. 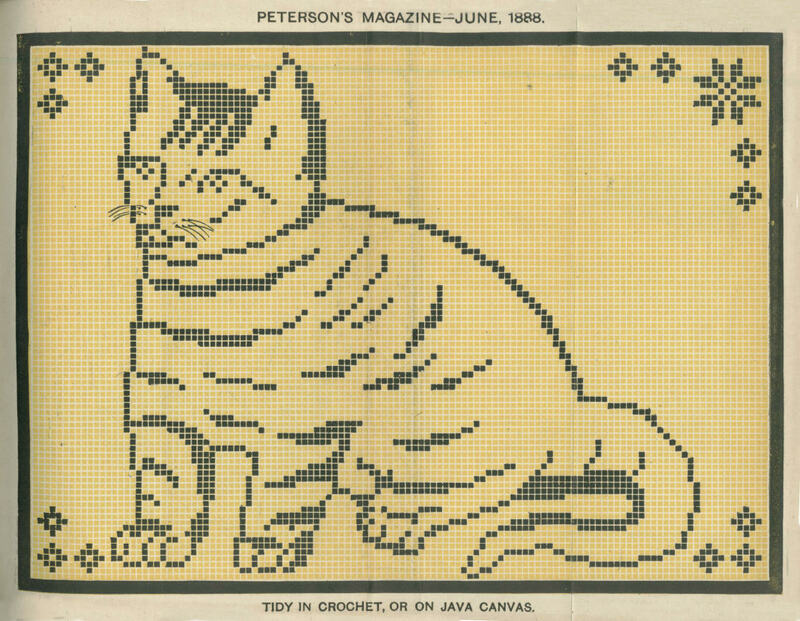 Creating them often involved long hours of painstaking effort; but sewing tidies (and other needlework projects that fell into the category of “fancywork”) was a way for ladies to express their creativity and imaginative vision, while beautifying their homes. You can click on any of the images in this post to view a larger version.